Compatible with the Sony PlayStation 4 and PC, the Thrustmaster T-Flight Hotas 4 Flight Stick allows you to recreate realistic piloting controls with its stick and throttle layout. The throttle can be attached to the joystick to save space or detached for a more immersive piloting experience. The joystick has an ergonomic design that can be adapted to all types of flight, such as aerial combat, space adventure, civil flight, and more. You can also adjust the stick's resistance to suit your preferences and the weighted base ensures stability during intense gaming sessions. 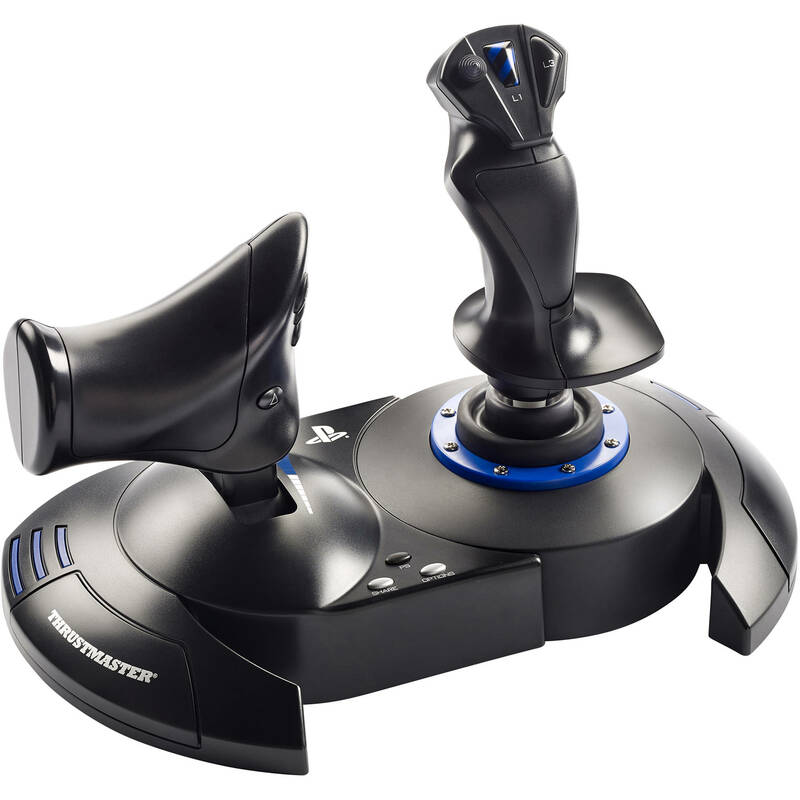 While pilots usually use pedals for the rudder, this joystick features a dual rudder system where you can rotate the handle (with an integrated locking system) or by progressively tilting the lever. The joystick features a full-sized throttle, which you can use to easily control the acceleration of your aircraft. The throttle can be attached to the joystick to save space or detached for a more authentic piloting environment. The joystick features a rudder function, which in a plane corresponds to the pedals used by the pilot to turn the steering, allowing the plane to pivot around its vertical axis (therefore making the plane turn left or right). This rudder function is accessible on your joystick by rotating the handle (with integrated locking system) or by the progressive tilting lever.